Now that spring has arrived, here's a look at some basic exterior maintenance projects you should undertake now to get your home into shape for the summer months ahead. Inspecting — Spring is a good time to see what damage winter storms, snow, and ice may have done to the exterior of your home Take this time to inspect the roof; you can do it easily and safely from the ground with a pair of binoculars. Look for loose, curled, or missing shingles and any bent or damaged flashing around chimneys, skylights, or points where the roof makes contact with the house. Note where repairs are in order and make sure to get them done. Next, clean out your gutters and downspouts. With those spring showers on the way, you definitely want to make sure your gutters are clear of debris so that they function properly. Also use this time to inspect your home’s foundation and chimney; repair any cracks or crumbles. Small fixes now could save you money and headaches later. Pruning — Your trees and bushes will look and grow a lot better if you remove dead, damaged, or overhanging branches. The main thing to remember here is to cut the entire branch off at the branch collar, which is the point where the branch connects to the trunk or another branch. Don’t leave little half branches or big stubs. You’ll get the best results using a handsaw or hand pruner, and it’s well worth investing in an extendable pruning saw with clippers if you have some branches that are just out of reach. Be sure to wear safety glasses and a hard hat if you are cutting branches directly overhead. Cleaning — There’s certainly no shortage of things to clean outside when the spring season hits. The HYDE PivotJet Pro can help with almost any cleaning task and lets you get the job done with ease. It connects to your garden hose so there is no bulky or noisy engine to cart around or electric cord to wrestle. Its powerful spray provides superior cleaning without the risk of damage associated with pressure washers. Use it to clean siding, windows, foundations, decks, gutters, patio furniture, grills, driveways, pool areas, fences, mowers, and more. The HYDE PivotJet Pro consists of a spray wand with a pivot nozzle head that gets into hard-to-reach spots, and a built-in liquid cleaner reservoir that can be adjusted or turned completely off as needed. 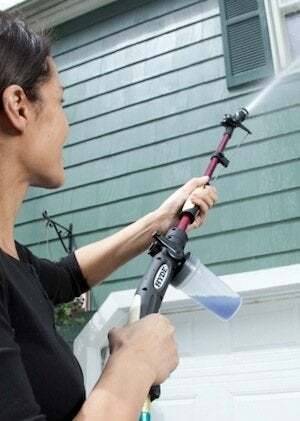 It’s much easier to use than a pressure washer, and much more affordable as well. Touch-up Painting – Exterior paint takes a beating throughout the year, so touching up those areas of your house, fence, or shed where paint is starting to fail is a good way to avoid long-term damage and make everything look new and fresh. This isn’t a task you want to revisit every year, so it is crucial to follow the proper steps for prepping, priming, and repainting. 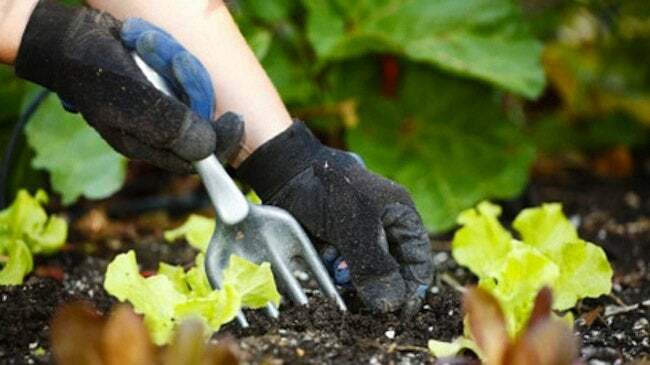 Garden Prepping — If you enjoy growing a vegetable or flower garden, then you have some prep work to do before it’s ready for seed or seedlings. Removing weeds and leaves, tilling or turning the soil, testing the soil, and adding the appropriate fertilizers are just a few tasks that you can start doing now. You might want to consider adding a motorized tiller to your arsenal of tools if you plan on keeping a good-size garden every year. If you get a jump on prepping your garden early in the season, you will have more time later to enjoy the fun part—watching your garden grow!